Call of Duty: Black Ops 4 developer Treyarch has released the first look at its battle royale mode Blackout: the map. It is set to be “the largest map in Call of Duty history”. Black Ops 4 – stylised as Black Ops IIII, which breaks all Roman numeral conventions – is getting a battle royale mode, capitalising on the growing success of the sub-genre that has been popularised by PlayerUnknown's Battlegrounds and Epic Games’ Fortnite. On Wednesday, the official Call of Duty Twitter account posted an image of the map, showcasing the layout and the name of several areas. 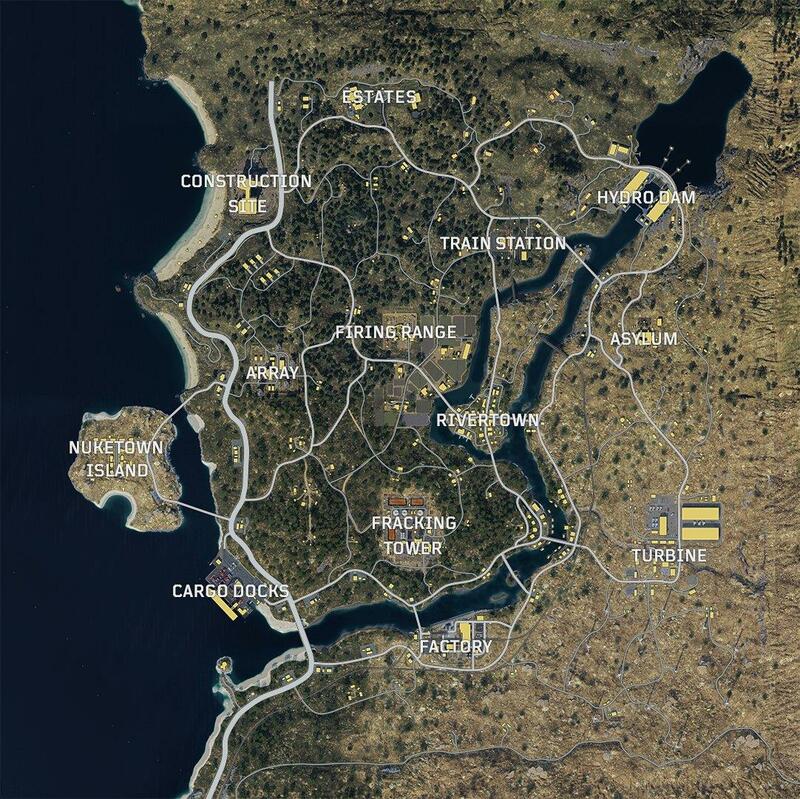 With the fan-favourite “Nuketown Island” off to one side, other parts of the Blackout map have generic names such as “Construction Site”, “Estates”, “Train Station”, “Hydro Dam”, “Firing Range”, “Fracking Tower”, “Factory”, “Turbine”, “Array”, “Asylum”, “Cargo Docks”, and “Rivertown”. Some of them have been maps in previous Call of Duty games. The map will be playable in the upcoming Black Ops 4 Blackout beta, which releases next week. Treyarch already held a beta for the other modes back in August, which we felt was “the most satisfying Call of Duty in ages” thanks to improved shooting and pared-down traversal. While we know Blackout will support solo, duo play, and groups of four, there’s no word on total number of players in the new mode. Blackout will also feature playable characters from previous Black Ops titles. You will need to pre-order Black Ops 4 to get access to the beta on PS4 and Xbox One. The beta begins Monday, September 10 on PS4 and Friday, September 14 on Xbox One. On PC, pre-ordering the game will get you one-day early access starting September 14, and everyone else can get on board starting Saturday, September 15. Call of Duty: Black Ops 4 is out October 12 on PC, PS4 and Xbox One.